Southport, CT - January 22, 2009 / -- DiversityBusiness.com today announced the �Top 25 Government Agencies for Multicultural Business Opportunities. Over 650,000 diversity business owners had the opportunity to participate in an online election to determine the �Top� agencies. The United States Postal Service for the third consecutive year was named the number one agency. The honor extends to another 24 agencies and is collectively called The Div25. This esteemed, elite list is coveted by the most successful agencies in the U.S. The list has become the most recognized and respected compilation of government that truly differentiate themselves in the market place in a time when diversity has never been more important. The 9th annual list was produced by DiversityBusiness.com, the nation�s leading multicultural B2B online website. Over 650,000 businesses were asked 10 questions regarding diversity. Their decisions were based on factors such as volume, consistency and quality business opportunities granted to women and minority-owned companies. Other agencies at the top of the list include the SBA, Department of Defense, U.S. Army and the Department of Homeland Security. Top Honors for Top Corporations While other awards and �Top� lists crown companies for metrics such as overall economic growth and returns to shareholders, The Div25 is an indicator of which organizations provide the best and the most business for diversity-owned companies. �In a marketplace that is increasingly as sensitive to diversity as it is to revenues, awarding the top buyers of multicultural products and services is becoming a natural part of the new socioeconomic food chain. Organizations that consistently buy the most products and services from diversity businesses, and that sustain the most mutually beneficial business relationships with their multicultural suppliers, should be recognized not only by the business community but also by the general public. 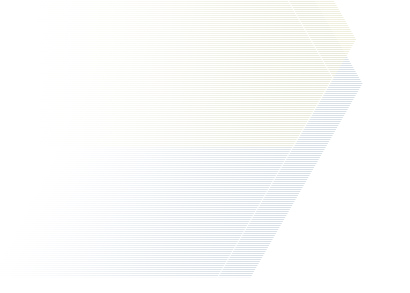 That is what we have accomplished in creating The Div25.� said Kenton Clarke. 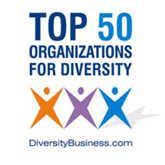 The Div25 The Div25 is a listing of the top 25 corporate and organizational buyers of diversity products and services throughout the U.S. It represents the voice of over 650,000 diversity-owned (women, African Americans, Hispanics, Asians, Native American, and other multicultural groups) businesses in the U.S., in sectors such as technology, manufacturing, food service and professional services. It has become the Gold Standard to its members and their associates and reaches millions of consumers every year. In nine short years, it has become a highly valued metric of corporate excellence in the diversity space. The winning agencies will be honored at a special awards ceremony at DiversityBusiness.com�s 9th Annual Multicultural Business Conference, taking place April 29 �May 1, 2009 at Disney�s Contemporary Resort, Orlando, Florida.